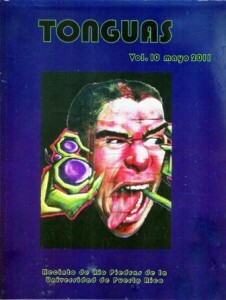 The title “Tonguas” combines “tongues” and “lenguas,” indicating the open, multilingual, and inclusive nature of the group’s activities, “idiomas,” and aesthetics. 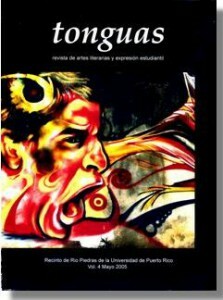 Tonguas begins with the premise that Spanish is at the heart of Puerto Rican identity. 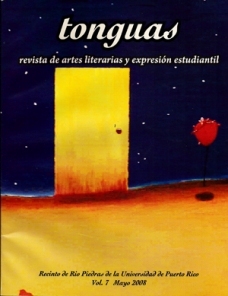 At the same time, the collective has also held poet Victor Hernández Cruz’s statement to be worthy: “Bilingualism is not a limitation when it is in the hands of the writers” (Red Beans, 1991, pp. 9-10). 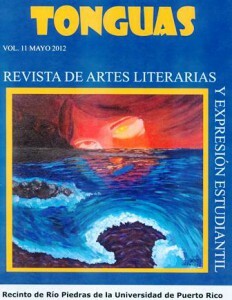 The journal is edited as part of ENGL 3037-The Role of the Literary Magazine in Contemporary Literary Production. 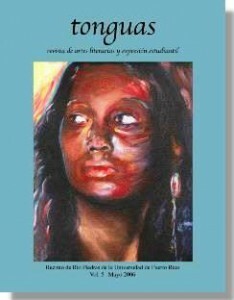 Although it originated in the English Department of the Humanities Faculty of the University of Puerto Rico, Río Piedras, participants include students from all faculties and writers from the larger community. 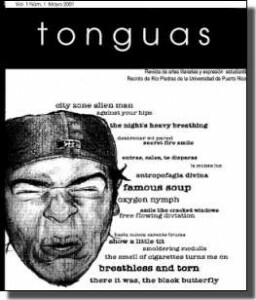 Tonguas poetry “jam sessions” tend to bring together poets of all ages, but most of the events celebrate and promote the poetic innovations of the new generation of emerging writers. 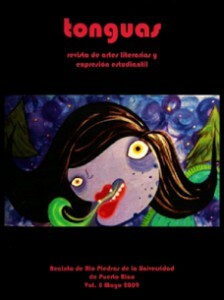 Participants have embraced both formal literary techniques and forms of orature and music–urban youth cultural expressions such as hip-hop and graffiti, along with “Def Poetry Jam” and slam style-performance poetry. 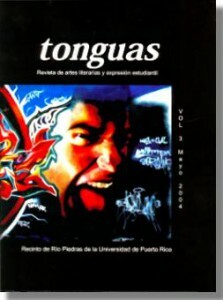 Tonguas has also attempted to bring Spanish-dominant, bilingual, and English-dominant writers into greater contact with Caribbean writers through readings and workshops with such artists as Puerto Rican poets Willie Perdomo and Victor Hernández Cruz and novelist Edgardo Vega Yunqué, Dominican poet Sherezada “Chiqui” Vicioso, Jamaican poet Lorna Goodison, St. Lucian poet Kendel Hippolyte, and Miami-based Cuban and Dominican-descended poet Adrian Castro. Tonguas is published once a year in May and accepts submissions of original poetry, fiction, creative essay, one act dramatic plays, and visual art from all University of Puerto Rico students of the Río Piedras campus. 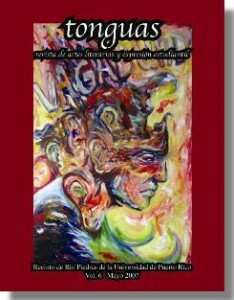 Artists and writers interested in submitting their work for consideration must either send or drop off one hard copy and one digital copy saved in .doc format on a CD or a pen drive, as well as a signed release form downloadable here. 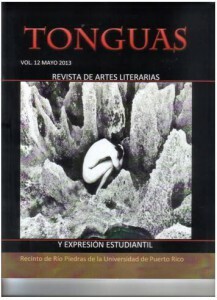 Submissions must be sent to Dr. Dannabang Kuwabong, Revista Tonguas, Departamento de Inglés, Facultad de Humanidades, P.O. 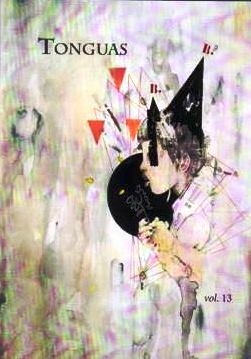 Box 23356, Río Piedras, Puerto Rico 00931-3356. Submissions may also be left in the professor’s mailbox in the English Department, Humanities Faculty, near Office #10, Pedreira (sótano). 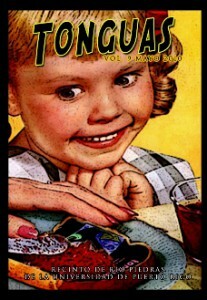 If you are interested in participating in Tonguas events or working on the student editorial board of the journal, please contact Tonguas at: tonguas.mag@gmail.com or visit the Tonguas Facebook page for more information.